Don't be fooled by the title of Dirty Dining because that's not the case for Fun Tacos. In fact, it's quite the opposite. Darcy Spears introduces you to a couple who gambled on their future in a place some might consider cursed. Where the dining was dirty, a family saw hope and the opportunity to fulfill their dream: one that's all about family, fresh food and fun. It's not often we're welcomed into a restaurant with a smile. "We're so happy you're here!" said chef and owner Jesse Monreal. "I mean, we learn from your show." The lessons Jesse and his wife, Tina, learned came from a Dirty Dining debacle that led to the downfall of Braddah's Island Style. The Hawaiian taco restaurant's multiple Las Vegas locations closed after serious and ongoing health code violations Jesse can't comprehend. "Sometimes you just wonder, you scratch your head, like really?!" From roaches and rats in the walls to broken and dangerous equipment in the kitchen, the building on Rainbow near Sahara had plenty of ghosts of Dirty Dinings past. "All these customers came in and told us," said Tina. "You came in knowing that this place was full of problems," Darcy Spears said. "Exactly," said Jesse. "And we were up to it. We were up to the challenge." Like a Phoenix rising from the ashes they tore the whole kitchen down, doing a complete remodel that took nearly a year. They had to knock walls down and literally gut the place from floor to ceiling. "It was very, very bad. Hazardous for one, very dangerous. I don't know how they passed code." 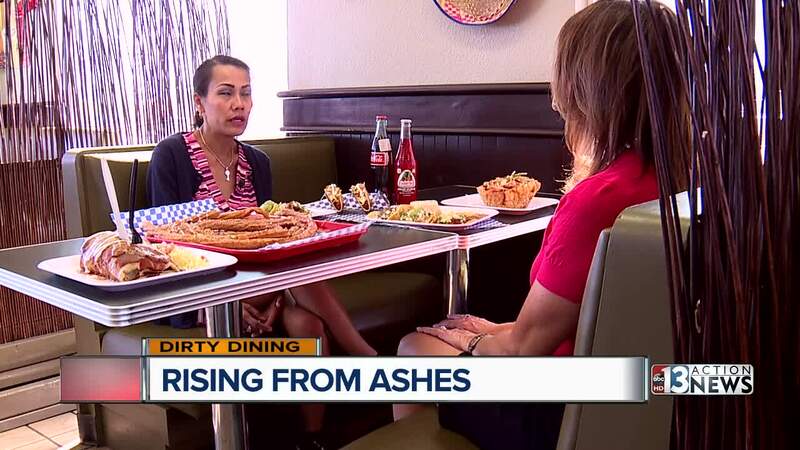 When they were rebuilding, they focused on each problem highlighted in our Dirty Dining reports from the past. "It's like, oh my god this is what happened to them!" said Tina. "It's like a learning lesson from their experience." And the process wasn't pretty. "When we first got here we couldn't find a report of the sewer being cleaned. Ever." said Jesse. The kitchen redesign includes separate areas for prepping food and cutting meat. "Everything is divided so they don't cross contaminate each other," Tina pointed out. Meat, dairy and produce have their own spots in the refrigerator too. Once the layout was complete, employee training began and they maintain a checklist staff must do on a regular basis. The Monreals have lived in Las Vegas for decades and Fun Tacos is a true mom and pop restaurant. Jesse gets choked up, wiping a tear as he talks about how their staff is like a family and how much this restaurant means to them all. He pours his heart into the more than 30 authentic Mexican dishes on the menu, including fresh yellow corn tortillas they make from scratch for each order. He uses family recipes and locally sourced ingredients. But it's the sweet side of the menu where Jesse's passion truly lies. He had a one-of-a-kind churro-making machine custom-built just for him. Through strict discipline and diligence Tina says it's not hard to comply with the health code and by doing so, they hope to continue building their family's legacy in the Las Vegas community. To clarify, while Fun Tacos is located at the address featured on Dirty Dining several years ago, they are in no way affiliated with the previous restaurant that shut down.